Deborah Stendardi has been elected chair of the Rochester Downtown Development Corporation for 2016-2017. Stendardi is vice president of government and community relations at Rochester Institute of Technology and has been an active member of RDDC’s board of directors and executive committee since 2002. She will succeed current chair David Beinetti, president and principal of SWBR Architecture, Engineering & Landscape Architecture PC. Rochester Downtown Development Corporation is a business development organization that serves to develop and revitalize downtown Rochester principally as a real estate and occupancy think-tank. According to Heidi Zimmer-Meyer, president of RDDC, Stendardi is not only a seasoned leader who is extremely well connected and respected in the community, but also represents a very high impact institution. At RIT, Stendardi serves as principal liaison and architect of a comprehensive government and community relations program, including federal, state and local government on regulatory and funding issues. 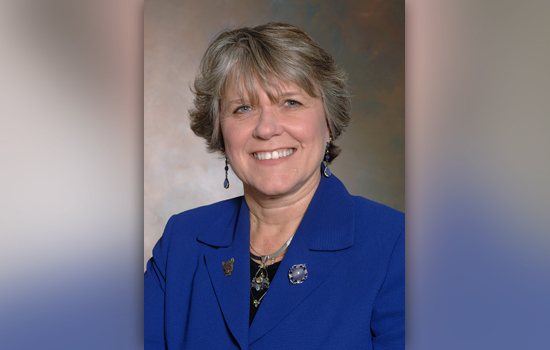 She was named one of Rochester Business Journal’s “Most Influential Women” in 2003 and received the RIT Four Presidents Distinguished Public Service Award in 2006. A resident of Pittsford, Stendardi received her undergraduate degree from the State University of New York at Cortland and a master of public administration from the State University of New York at Albany. She has served on a number of boards of community organizations including the Women’s Council of the Rochester Business Alliance, Rochester Women’s Network, Rochester Hearing and Speech Center, High Falls Film Festival and First Niagara Rochester Fringe Festival. Stendardi is currently on the board of directors at Catholic Family Center, High Tech Rochester, and United Way of New York State, and is a member of the United Way of Greater Rochester campaign cabinet.